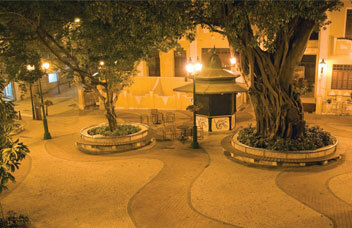 The ground water of Lilau used to be the main source of natural spring water in Macao. The Portuguese popular phrase: “One who drinks from Lilau never forgets Macao” expresses the locals’ nostalgic attachment to Lilau Square. This area corresponds to one of the first Portuguese residential quarters in Macao with a typically Mediterranean atmosphere containing some later Art Deco influences that contrast with the nearby traditional Chinese architecture of the Mandarin’s House residential complex, in a clear example of a fusion of western and Chinese urban and architectural concepts. Largo do Lilau (Lilau Square) was built around the natural spring which used to provide fresh water to Macau's people, back in the old colonial days... As a matter of fact, that is where Portuguese Macau has started to develop from, and the small stone-paved streets around the square are full of old days charm (including some heritage buildings that are well worth visiting). 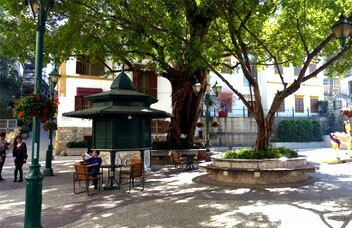 Lilau Square is a few minutes’ walk from A-Ma Temple and Macau Maritime Museum.